Appliance Warehouse of America is one of the leading distributors of washer and dryer sets to apartment communities in the United States. With locations across the country, we are able to lease quality washer and dryer sets in most major cities nationwide. Appliance Warehouse services multi-family apartment communities, condominiums and single- family homes alike. 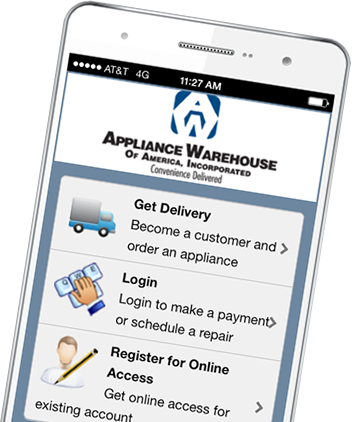 With our outstanding customer service, and delivery guarantee, Appliance Warehouse of America is there when you need us. Appliance Warehouse of America can provide installation, repairs, and maintenance on rented or newly purchased washer and dryer sets. If you are a community looking to lease, purchase new, or obtain a service agreement on your washer and dryer sets, we have a custom solution for you. If you are an individual looking to rent a washer and dryer set, a five minute phone call or click above is all it takes to have a washer dryer set delivered to your door tomorrow.